The book is at best average. There are some good tipps, but it's more like a biography. Maybe it's a good read as a book, but not the best buy as an audio book. great book with real world advice and anecdotes from someone who has lived through the hard stuff. Much better than the over simplicity of most management texts. a must read for all managers our business owners. 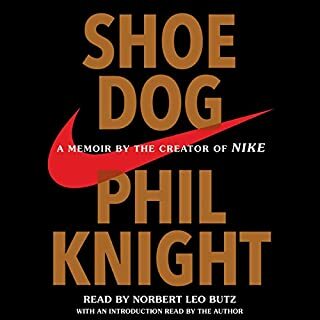 One of the best business books I've ever read. It talks about taboos, the struggle that you rarely hear or read in biographies. Ben has a wealth of honest real life sharings of struggles and strategies that make sense for any senior role. I see the CEO role as any senior leader that is accountable for P&L as well as people. Better information in the review and I probably wouldn't buy this one. There's nothing essentially wrong with this book. But the business that I am planning to start doesn't match the authors information and experience and this isn't the right book for me. Would you recommend The Hard Thing About Hard Things to your friends? Why or why not? If there are lessons they might be later in the book. I just found the early chapters slow going and I'm not learning much. 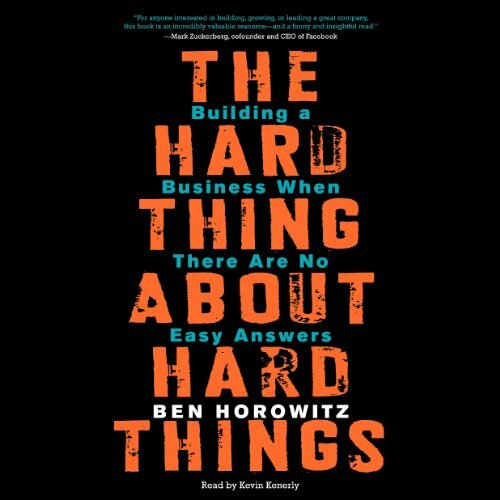 Ben Horowitz comes across hard working and funny and he manages to work for top silicon valley companies in the 90s and I've just reached the bit when he has founded an cloud company with three others but I felt that this isn't going to help me on my journey. 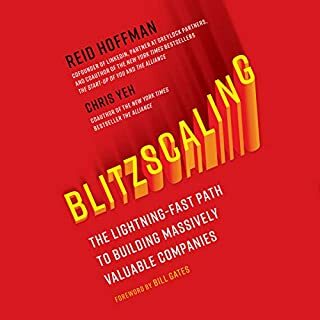 I will not be working for top software companies but if you are going to set up a software firm than this might be the book for you. What aspect of Kevin Kenerly’s performance might you have changed? Maybe Kevin's voice isn't the right match for the book content. Particularly when he reads to words from the rap songs. Did The Hard Thing About Hard Things inspire you to do anything? Would you try another book written by Ben Horowitz or narrated by Kevin Kenerly? What was most disappointing about Ben Horowitz’s story? Would you be willing to try another one of Kevin Kenerly’s performances? If you could play editor, what scene or scenes would you have cut from The Hard Thing About Hard Things? The story is meant to be inspirational, but it achieves the opposite effect. He tells how he neglected his family so many times, how he asks of people to only work work work and how often he was at the brink of bankruptcy, that the only reason I am able to read this book is his luck and survivor bias. I dropped it halfway, I can't take it anymore. 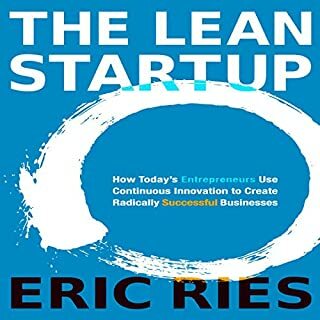 The only way to improve this is if Ben Horowitz himself narrated. Takes a look inside the mind of a proven CEO from a US perspective. Nearly all examples are from the female perspective too, which makes me wonder if Ben us sending a subtle message? I found this book to be quite transformational for me. As someone venturing into the world of management and startups, it's given me much greater empathy for the struggles of running a company. It has helped me to be more patient with the CEO of my company and understand her perspective much more clearly as a result. This has made me look forward to the challenge of management, and found the ideals around shaping culture particularly reassuring. great advice. i really dig this book. it is full of practical real life advice. this is my new favourite book. it has galvanized my will and inspired me to keep going. thank you Ben for writing this book. i don't feel so alone anymore. If you're a start-up CEO, this book was literally written for you. Horowitz has been there and done that - ironically the very attribute he eschewed in hiring leaders for his most successful exit. A really great book that discusses the things often not talked about in business books. 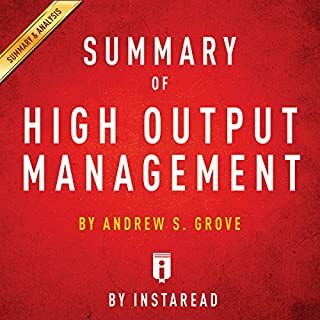 Horowitz provides great insight into how to survive against all difficult, and seemingly overwhelming odds, that can be applied not just to business but to any situation. A truly necessary read for anyone who might face difficult decisions in the future. I found this book well written and really informative. 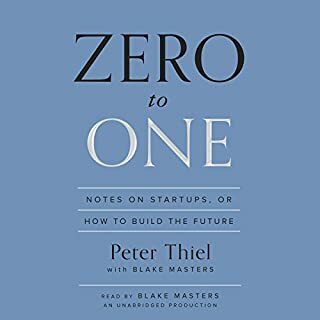 A must read for any startup CEO. I genuinely appreciated the candidness in which Ben H wrote about what life of a CEO is in wartime. There was no sugar coating. It was the honest truth. 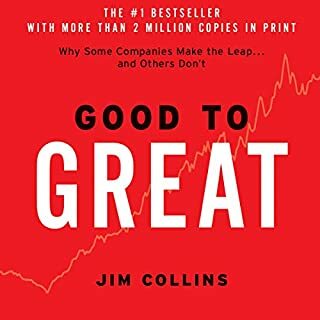 If you are in an industry during wartime or looking to dominate this book is full of wisdom and insights that you can immediately implement. Highly recommend! This is an excellent story about what is required to be a CEO and build a business.